The All Arunachal Pradesh Students’ Union (AAPSU) has decided to temporarily defer its “Operation Clean Drive”, a statewide campaign launched by the union against illegal immigrants and Inner Line Permit (ILP) violators. The drive which was launched by the AAPSU on Friday had detected more than two thousand ILP violators all across the state. “During the two-day operation the AAPSU and its various federal units detected a total of 2,205 ILP violators. However, the district student unions of some areas are yet to submit their report due to communication problems and the figure is expected to increase after their official submission,” OCD chairman Tatung Taga said in a statement on Sunday. These violators should be immediately deported from the state and necessary actions should be initiated against them under the laid down provisions of Bengal Eastern Frontier Regulation, 1873, the AAPSU said. 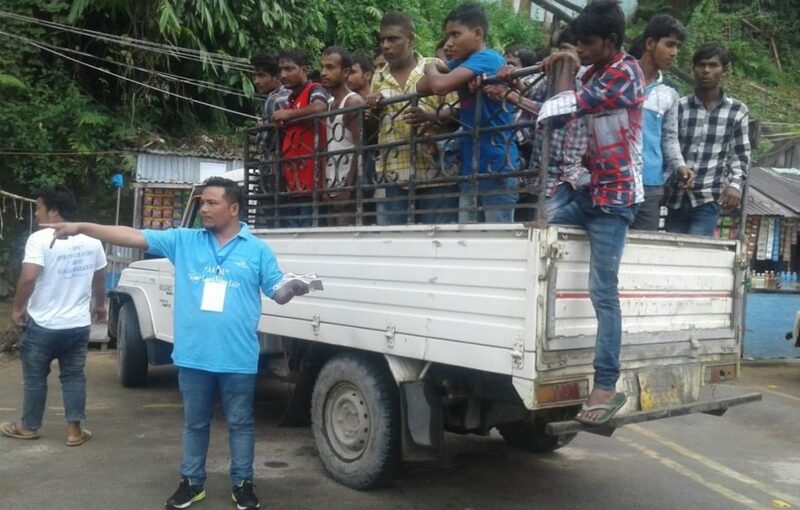 “There are also apprehensions and reports from various districts that the ILP violators caught during the “Operation Clean Drive” are being let off without any action. The authorities concerned should look into it with the right earnest,” Tatung said. He said it has also come to the knowledge of the Union during the drive that various shopkeepers and brokers (mostly non-Arunachalees) were involved in issuing fake ILPs. Strict action should also be initiated against them, Tatung said. The Union further informed that a consultative meeting with all the district student unions has been scheduled for August 23 next during which further consultations and discussions shall be held regarding next phase of the Operation Clean Drive. After the meeting, representatives of the AAPSU’s ILP issue committee shall meet the state government representatives. Meanwhile, the AAPSU and the entire Operation Clean Drive team acknowledged the support and cooperation of the administration, the police and especially that of the citizens who wholeheartedly rendered support to the Union during its two-day campaign. In the wake of neighboring state Assam publishing its final draft of the National Register of Citizens (NRC) on July 30, the AAPSU had asked all illegal immigrants to leave the state. The union had also warned Indians who do not have ILPs to obtain it within 15 days or face deportation. The drive of the AAPSU has also received support from the All Assam Students’ Union and North East Students’ Organization.